The elderly and people with disabilies can have trouble safely making it up and down the stairs in their home by themselves. This can force a person to leave their home and live in an assisted living facility. A stair lift can solve this problem and allow anyone with a physical limitation regain their independence and make it possible for them to stay living in their home. 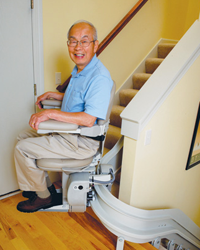 Stair lifts use a simple system that uses a track, chair, and rechargeable battery to carry a person up and down the stairs. They are an affordable and practical solution for the elderly or someone with a physical disability. Anyone who uses a walker, cane, or just can no longer use the stairs by themselves can benefit from having a stair lift in their homes. First a track, either straight or curved, is installed against the wall of a staircase. The chair travels up and down the track at a quick but safe pace. The chair has features such as a foot rest, arm rests, seat belt, and different upholstery options. The system is powered by a rechargeable battery that can be plugged into a standard outlet. Whenever the chair is not in use, the battery charges to ensure that the stair lift will never run out of power and can still be used in the event of an outage. Mobility issues hinder many elderly and physically disabled people from living independently in their homes. All too often, people are forced out of the homes they have lived in for many years because they can no longer navigate the stairs. The inability to reach other floors restricts them to one area or floor. The elderly or people with disabilities might be unable to reach their bedroom or bathroom because of their mobility issues. A stair lift can alleviate this struggle by providing a safe and convenient mode of transportation. 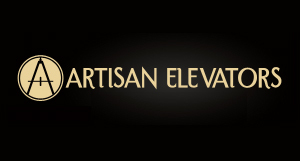 A stair lift is inexpensive and easy to use solution to this problem.